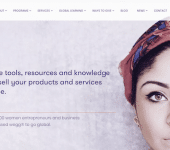 As we come to the end of 2007, it is safe to say that Web globalization has evolved from an ancillary activity to a core piece of the marketing puzzle at many companies. So now it’s time to take a deep breath and take a shot at predicting the future of Web globalization. The following predictions are based on current trends as well as gut feelings. Okay, this was an easy call to make. The weak US dollar is helping companies weather a poor local economy by selling their goods abroad. 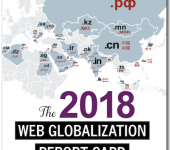 And this year I’ve noticed a number of companies boosting their Web globalization budgets to expand into new markets or improve their current localized Web sites. 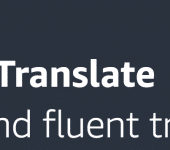 All signs point to 2008 being a very busy year for translators and Web localization teams. While a great global Web site does not in itself ensure success, it is a major competitive differentiator as companies expand abroad. 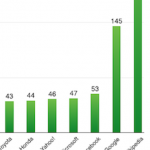 And those companies that embraced Web globalization early on are now reaping the rewards. I have long been a strong proponent of local-language domain names. Next year, ICANN will launch approved IDNs that the local markets will embrace. The media will report the surprising success these domains see in their respective countries. China in particular will report more than two million registrations in one month (probably in 2009). 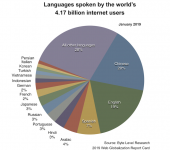 The demand for local-language domains is there. Yes, there are plenty of details yet to be worked through at ICANN and there will no doubt be technical and political obstacles along the way — which will also be widely reported by the media. But next year will mark that point in time when the Internet begins to provide a true local-language end-to-end Internet experience for users around the world. China has been the most vocal proponent of IDNs. The government effectively argues that the Internet cannot be user friendly for its citizens until they can enter domain names in the native Chinese script. Now that IDNs are becoming a reality, I expect China to begin requiring companies that wish to do business in China to register IDNs. China would probably initially require those companies that are licensed to host sites within China to register IDNs, but it may also go after companies that host outside of China as well. There is also a financial incentive for this requirement, as these registrations will benefit state-owned domain registries. Following in China’s steps, Russia will also require the registration of Cyrillic domains, and other countries may also follow. From a usability perspective, we expect most companies to register IDNs for China and Russia (and elsewhere) regardless of any such regulations. But the regulations will be a wake-up call to those companies that have overlooked IDNs. In one year, the .eu domain surpassed 2.5 million registrations. It would stand to reason that the forthcoming .asia domain, which represents a far larger population, would be even more popular. No geographic boundary. While .eu refers to a group of clearly defined countries, what countries does .asia refer to exactly? I’m not sure, and neither is anyone I’ve asked. IDNs are better. China, Korea, Vietnam and others are going to embrace domains in their native language rather than the .asia domain. The sunrise period for .asia began in November, and the DotAsia registry reports 15,000 applications, the majority of which have come from US corporations. This is hardly an overwhelming response and a sign that 2008 will be an underwhelming year for registrations. That figure was a 20% increase from the year before and a sign of a trend that we do not see slowing. By the end of 2008, nearly half of all large multinationals will make use of splash global gateways. Geolocation is a “behind the scenes” way of guessing a Web user’s location by analyzing his or her IP address. It can be quite effective, and Google has used it for years. Amazon and Expedia also use it selectively, and more companies will follow suit next year. However, I think we will also begin to see news reports of geolocation being used to keep people out of Web sites. For example, Amazon may offer a special discount on a book in one country and not the other, and it does not want users in the non-discounted country to know better. Using geolocation, users could be barred from seeing these discounts or products altogether, without being the wiser. Geolocation could be used to create geographically gated communities on the Internet, something that goes against the spirit of the Internet but is also difficult to stop. While lawyers in companies around the globe fret over the legal implications of supporting employee blogs, more and more companies are taking the plunge, from Dell to Sun to Google. From a budgetary perspective, blogs offer the ideal way to bypass the cost-per-word limitation of translation while offering plenty of local content. Naturally, companies need good writers locally who can contribute relevant content, but these writers do exist, and forward-looking companies will put them to good use. 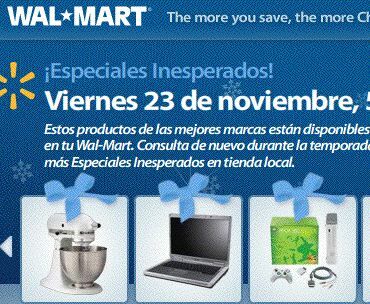 While retailers like Lowe’s and Staples have launched Spanish-language Web sites for the US market, Wal-Mart has remained on the sidelines. This will change in 2008. I witnessed a sign that Wal-Mart is headed in this direction during the week of Thanksgiving. If you were to click through on any of these product links, you would be taken to English-language text. But I think this will change, probably by next Thanksgiving. If one the best forms of defense is a strong offense, I expect Chinese search engine leader Baidu and Russian search engine leader Yandex to attack Google on its home turf. Yandex, shown here, continues to lead in Russia despite Google’s best efforts. And the success of both Yandex and Baidu hint that the search engine wars globally have only just begun. Google Apps is a Web-based platform that businesses small and large rely on to support email and collaboration. At some point in the future, Google will provide business members with integrated access to Google Translate. Google Translate will allow executives to have foreign-language emails translated in real-time into their native language. Web browsing can also be translated in real time for executives who want to learn more about foreign competition. All of this will be powered by Google’s in-house statistical machine translation (SMT) engine and it will be tailored to the company’s industry terminology. The quality of this translation will by no means be perfect. But as Google’s engine gets to understand your business and as its global memory database grows, the quality of translations will improve. Google will allow companies to upload their own translation memories to further improve Google’s SMT engine. 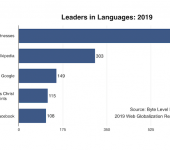 Eventually, companies will become so comfortable with Google’s translation abilities that it will allow Google to be the company’s “front end” for specific types of Web content. For example, a company may offer a public blog in English and will allow Google’s SMT engine to translate it for the world. Since this is content that the company may not have ever paid to have manually translated, it’s a nice proposition for both the company and consumers. Naturally, there are a lot of “ifs” involved. 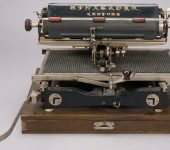 Companies must upload their translation memories to provide the level of quality required, and the public must be satisfied with less-than-perfect translation quality. 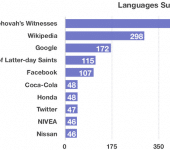 But the ramifications of Google acting as a “multilingual interface” is significant. It could very well mean that we’ll see companies actually decrease their pure translation spending in the years ahead. But that does not mean they won’t be spending money on Web globalization. Their spending will probably increase, but it will be focused on content creators, editors, user advocates, and community managers. What does this mean to vendors? It means that the time is now to begin thinking about how your company will thrive in a world where translation is not your core source of revenue.